The original Classic Swing Band for over 10 years has featured the fabulous vocal styling of Eddie Irving, lead singer for the group. The combined talents of the 5-piece band, with the multi-horn “chops” of Tom Lepper (band leader) and the keyboard skills of Randy Wills (music director), have built a growing “fan-base” all around Texas. 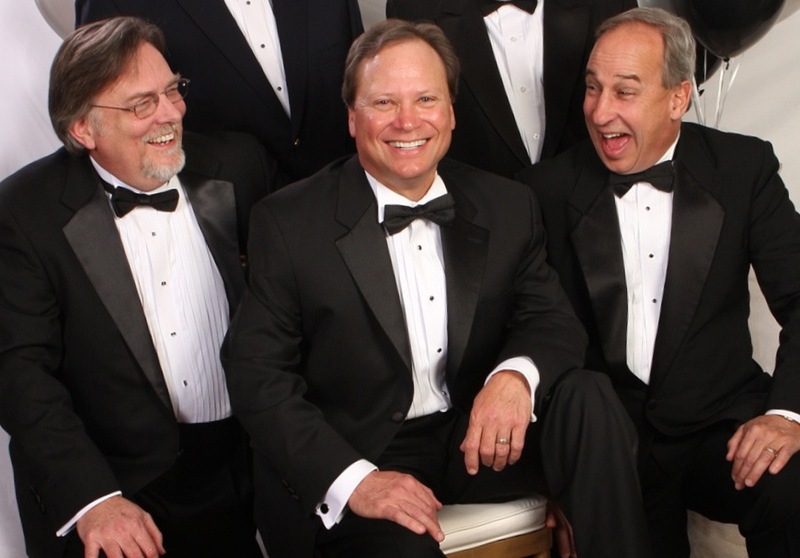 The front line of entertainment: Tom, Eddie and Randy have pleased many, many clients for events large and small. Whether you need a complete show in a concert format or three 45-minute sets of live music to enhance your special occasion or event – these guys can do it! Take a few minutes to listen through the music samples on this page, and if you need more variety, check out the Ballroom Dance and Jazz Quartet pages too.